Lambeth Council is to honour the first generation of African Caribbean settlers in Britain by naming a new pedestrian square in Brixton, Windrush Square. The first modern migrant black community arrived in Brixton in 1948 having sailed to Britain on the Empire Windrush and made the Brixton area their home. Local residents, organisations and businesses were asked to choose a name for the new square. Two strong contenders emerged – Windrush Square and Roots Square. 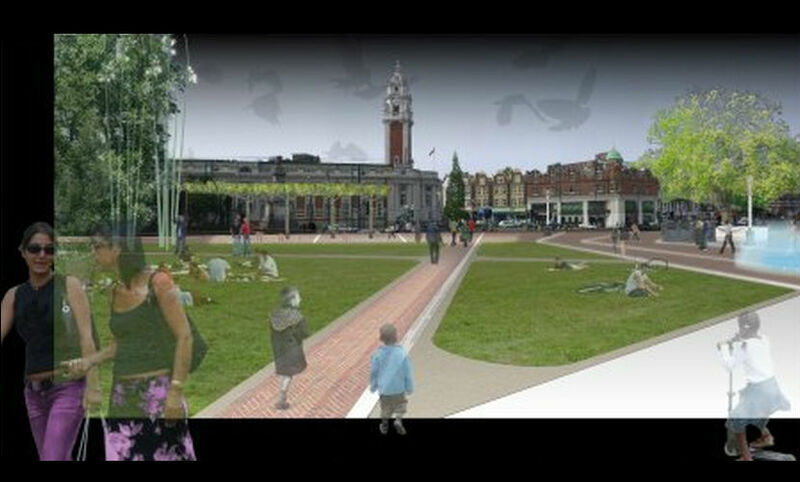 A portion of the area which will become the new square is already named Windrush Square, and this, with representations from local community groups including the Black Cultural Archives and the Brixton Society, established a preference for the name Windrush. Brixton central square is currently benefiting from a multi million pound redevelopment under which two separate areas, the Tate Gardens and the existing Windrush square area will be joined together to create a new high quality space in the heart of the area. Work on the new square is due to be completed in Spring 2010, with the new space providing a focal point for the town centre and a much needed venue for community events. Jo Negrini, Divisional Director for Regeneration and Enterprise commented: “The Windrush generation has always been at the heart of the Brixton community and the name of this new square will reflect that. The decision to carry this name forward symbolises the retention and honouring of the culture and heritage of the original African Caribbean settlers in Brixton”.